In a time when compressed music is the normoften removing the details an artist has worked so hard to capture in recordingit's great to have someone like guitarist Pat Metheny still paying attention to the very minutiae that can make a very, very good record great. Unity Band would be a very, very good record under any circumstance. 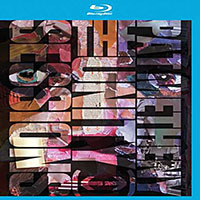 It's Metheny's first recording to prominently feature a reedman since 1985's collaboration with Ornette Coleman, Song Xtremendously remixed and remastered in a 2005 Twentieth Anniversary edition on Nonesuchand there's been an even longer stretch since he worked with a tenor player (two, in fact) on his classic 80/81 (ECM, 1980). With Chris Potter in the horn chair and Antonio Sanchez taking care of the drum seat, expectations of fireworks are to be expected. But it's Metheny's attention to a particular small detail that few ever think about, outside of musicians and record producers: the silence between the tracks. At a time when the concept of an album is at riskthe idea of musicians and/or producers laboring over track sequencing in order to create a whole, to be absorbed in a single sitting, that can often exceed the sum of its individual partsfewer creators still will pay attention to that gap between songs. But it's a small yet significant choice that can make a huge difference, albeit largely on a subliminal level. 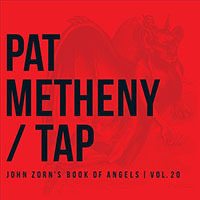 Metheny has placed lengthy gaps (approximately five seconds) between each song on Unity Band, and it's that very silence that somehow allows true closure and separation for each of its nine superlative tracks, before refocusing on the nextnot unlike ECM Records' longstanding five-second silence at the start of each albumwhich somehow creates a brief but Zen-like moment of tranquility and preparation. 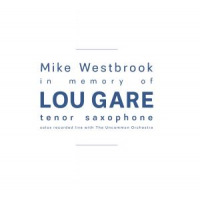 And yet, rather than making it possible to experience each Metheny composition as a distinct and separate entity, these moments of silence make it a 68-minute experience all the more rewarding in a single listen. While many of Metheny's fans pine about the now seven-year (and growing) stretch since his last Pat Metheny Group recording and tour The Way Up (Nonesuch, 2005) and a world tour that ended in front of over one hundred thousand people at the 2005 Festival International de Jazz de MontréalUnity Band will, at least to some extent, assuage their pain. 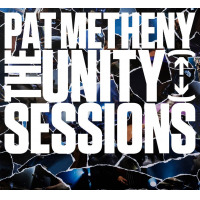 That said, Unity Band is not Pat Metheny Group, for a number of reasons that go beyond the obviousnot the least being the very visible absence of PMG keyboardist/co-composer Lyle Maysand that's a very good thing. 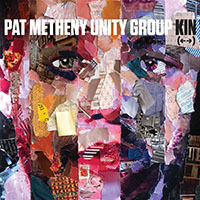 Unlike PMG, which creates fixed solo space within the context of tightly written and arranged compositions, Unity Band is a blowing band, closer in complexion, to Metheny's trio recordings like 2008's Day Trip (Nonesuch), tours like 2011's European reuniting of his Trio 99-00, with bassist Larry Grenadier and drummer Bill Stewart), and the guitarist's two- album Nonesuch collaboration with Grenadier, pianist Brad Mehldau and drummer Jeff Ballard on Metheny Mehldau (2006) and Quartet (2007). But there's a stronger emphasis on composition here, too, as opposed to those projects, allowing tunes like "Signals (Orchestrion Sketch)" to unfold with the same episodic construction as the best PMG music, making Unity Band a more equitable balance between Metheny the composer and Metheny the improviser. Potter is a fearless improviser, one whose capacity for building potent and meaningful solos at any length dates back to when, while still a teenager in the early 1990s, he emerged with trumpeter Red Rodney. 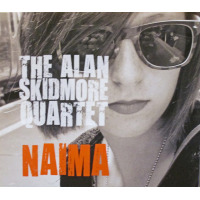 Subsequent and ongoing work in a number of Dave Holland's groups, including the bassist's flagship quintet last heard on record on Critical Mass (Dare2, 2006), as well as the saxophonist's own growing discography, including his incendiary Underground group on Ultrahang (ArtistShare, 2009) and a recent big band project, Transatlantic (Red Dot, 2011), have positioned him as, perhaps, the most important tenorist since the late Michael Brecker. 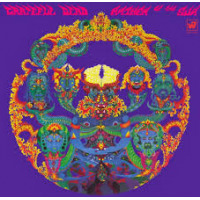 Unity Band is, however, the first album from the saxophonist since 2002's Traveling Mercies (Verve) to bring tenor saxophone, soprano saxophone and bass clarinet to bear; no surprise, given Metheny's penchant for orchestral breadth through his use of various acoustic and electric guitars, guitar synth and that seemingly unwieldy (but, uncannily, not for him) Orchestrion. Metheny first debuted his solenoid and pneumatic-driven Orchestrion on the 2010 Nonesuch album of the same name. But while the subsequent solo tourwhere Metheny used the instrument to literally trigger everything from percussion to glass bottles for a one-man band of epic proportionsseemed, at the time, to be a one-off use of this expensive to build and expensive to tour behemoth, Metheny's 2011 trio tour unveiled a smaller, more portable version of the Orchestrion that was used, at the end of the show, to create a piece that ultimately integrated it with the live trio of Metheny, Grenadier and Stewart. 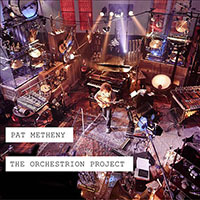 Metheny has always been about wood-shedding new sounds whether they be his Roland guitar synth, his 42-string Pikasso guitar or his fretless classical guitarto ultimately integrate them into a larger sonic arsenal, so it should come as no surprise that, once introduced in a big way, the Orchestrion has now become simply another integral part of Metheny's larger landscape. "Signals (Orchestrion Sketch)" is, at over eleven minutes, Unity Band's longest tune, but more than that it may be the greatest achievement of a group that's still in relative nascency. Commencing in free territorywith Potter's bass clarinet processed and looped, as Sanchez and bassist Ben Williams engage with both the saxophonist and Metheny's vast Orchestrion soundscapeit's when form begins to emerge, as Metheny begins layering a series of looped motifs on guitar, percussion and more, that this remarkable integration of technology and instrumental virtuosity begins to take shape. With Potter switching to tenor, "Signals" may references minimalist composer Steve Reich in its layered patterns and pulses, but as it leads to a climax, where Potter and Metheny (now on guitar synth) orbit Williams and Sanchez's fiery underpinning, it's Metheny's Midwestern proclivities that come to the fore. Elsewhere, the writing is just as strong, and the quartet just as engaged, as Metheny brings a number of his instruments to bear. 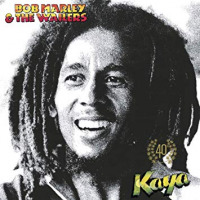 The album opens with Metheny alone, his nylon-string guitar introducing the Latin-tinged "New Year," a song that, in addition to solo spots for Metheny and Potter (on tenor), also features an early solo from Williamsthe youngest member of the band, but clearly someone to watch. But it doesn't take long for the heat to rise on "Roofdogs," a modal burner where Metheny's horn-like synth is layered to create a sound that's absolutely huge, with Potter's soprano meshing so well, at times, as to make the two nearly indistinguishable. Potter, on bass clarinet, and Metheny, on his harp-like Pikasso guitar, mesh for a lush duet intro to "Come and See," but it's Williams' deep-in-the-gut ostinato and Sanchez's ability to carry a groove while being, at the same time, frenetic and complex that define the song, with Metheny soloing on his warm-toned electric hollow body before turning to accompaniment for Potter's searing tenor solo. "This Belongs to You" is a dark ballad that features the baritone guitar Metheny has used, to such great effect, on 2003's One Quiet Night and last year's Grammy Award-winning What's It All About (both on Nonesuch), while "Leaving Town" returns to hollow body electric for a solo that defines both Metheny's ever-present lyricism and Potter's ability to sonically strip paint off a wall. 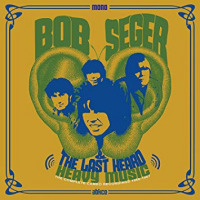 The album closes with "Breakdealer"beginning at a fast boil and turning up from therewith Metheny's most intense, high velocity solo of the set matched by Potter and, in a rare solo spot, Sanchez, who takes the album out on what is surely a strong candidate for set-closer when the group hits the road for a world tour on June 24, 2012. With 12 European countries and 20 states in the US so far, if Unity Band is already this incendiary, with such a defined collective sound at this early stage, heart monitors may be mandatory at the entrance to all shows, to ensure those with weak hearts aren't put at risk. In a career now nearing the four-decade mark, with so many truly classic albums, beginning with his very first, Bright Size Life (ECM, 1975) and leading up to what will surely be considered another career highpoint in Unity Band, Metheny continues to move from strength to strength. 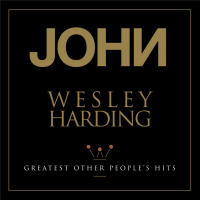 Even when a recording like Orchestrion generates no small amount of controversy, this all-encompassing, stylistically voracious guitarist continues to prove that, for him, it's all a process of discovery, evolution and occasionally revolution. 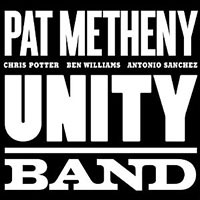 For those who miss Pat Metheny Group, Unity Band may not be the solution; but in its combination of detailed writing, instrumental orchestration and unfettered, energetic blowing, it's an alternative that, in its blending of form and freedom, is unequivocally one of Metheny's finestan album that's sure to find its way to "best of" lists for 2012 and, no doubt, another nomination when the Grammy Awards roll around again, to perhaps round him up to an evenand, in the world of jazz, unprecedentedtwenty wins. Tracks: New Year; Roofdogs; Come and See; This Belongs to You; Leaving Town; Interval Waltz; Signals (Orchestrion Sketch); Then and Now; Breakdealer. Personnel: Pat Metheny: guitars, guitar synth, Orchestrion; Chris Potter: saxophones, bass clarinet; Ben Williams: bass; Antonio Sanchez: drums. 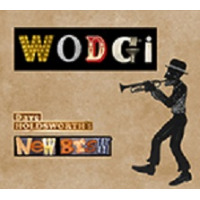 Track Listing: New Year; Roofdogs; Come and See; This Belongs to You; Leaving Town; Interval Waltz; Signals (Orchestrion Sketch); Then and Now; Breakdealer.